Great intuitive layout to inform of weather and to see the various groups (ie wind speed, precipitation, etc) of weather/climate information! Would love to see a section on pollen, mold, etc. Attractive interface, gives info you need, UV levels = great add. Would be good to have option for Warning alerts. This app is in real time, very helpful to me living in the SNOW BELT IN NORTHERN OHIO. Great JOB DEVELOPERS! I live in the land of hurricanes and tropical storms (with occasional freezing temps in winter), so weather awareness is a fact of life. 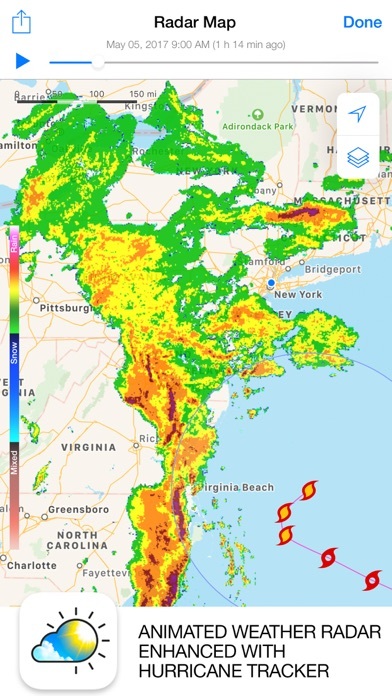 I've always kept NOAA Marine Forecast in some form, but when land-bound, you want a rather different data-set that is perhaps a bit better organized and friendlier as well… After having downloaded this and several other apps to try out for some months, Weather Live quickly shone above the rest, becaming my Go-to weather source. It alone quickly gave me the features and (highly accurate) information I needed, no matter what the season. The bright color-coded rain maps and the satellite/hybrid options sealed the deal for me: I eventually deleted those other apps since they had nothing to add to Weather Live! 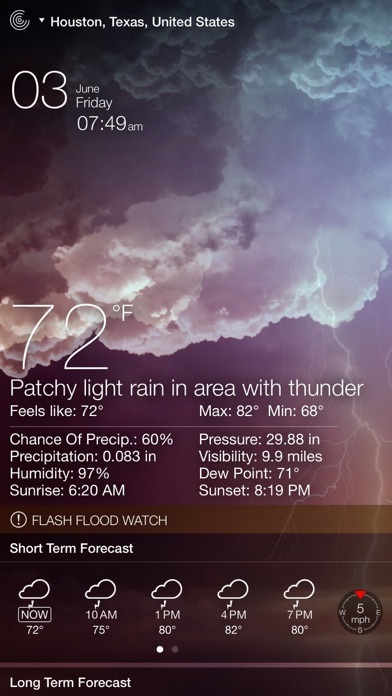 If you want simplicity in your weather apps, this is it. 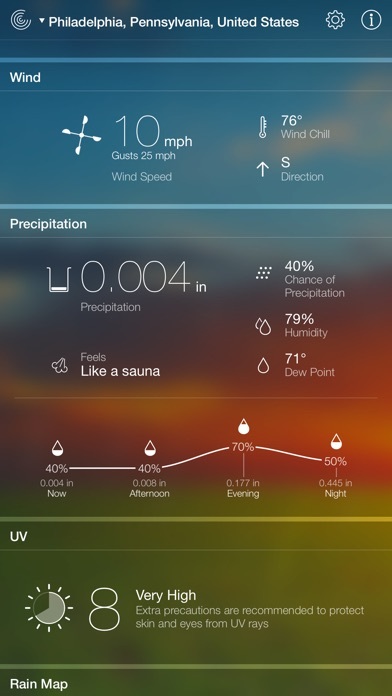 So many weather apps have maps, data, etc. Some people like those features, I get it. But for others who just want a simple app with easy to read graphics, this is pretty good. I was skeptical because this wasn’t free, but it’s worth the cost. 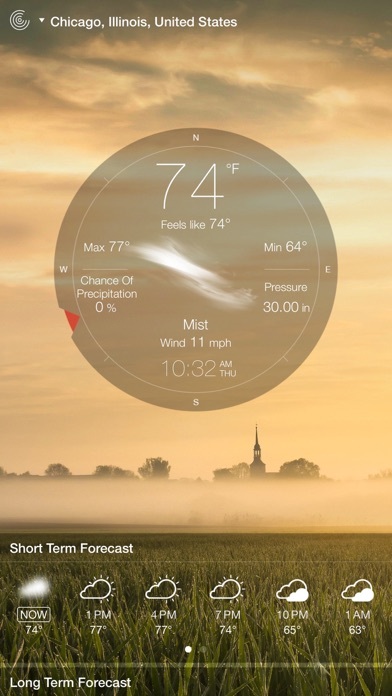 It’s the most gorgeously designed weather app. I’ve bought and tried them all. AND the most consistently inaccurate and delayed in correcting its own forecasts. I have to download weather channel to get accurate weather info. Please tell me where to find Gulf of Mexico and Atlantic water temp overlays.